Swanwick-based satcoms specialist Rock Seven has launched a new free real-time weather service at www.rock7.com/wind accessible by smartphone, tablet and computer. 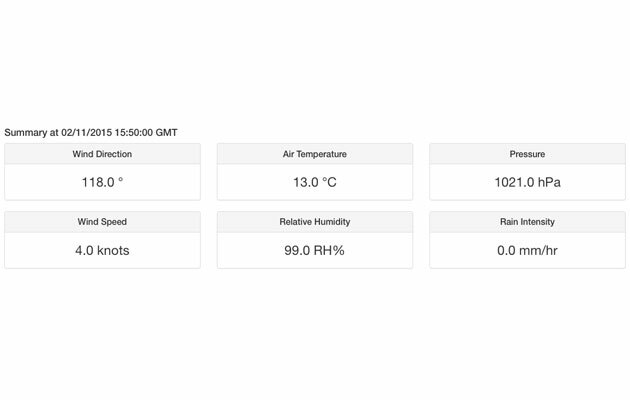 The website shows wind speed and direction, temperature and humidity, atmospheric pressure and rain intensity. 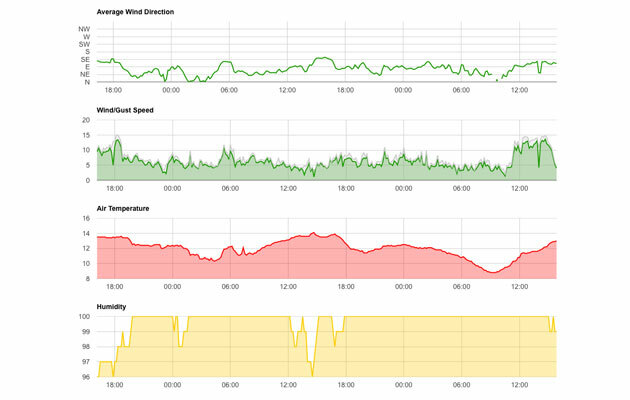 Below there are graphs showing trends for each of these for the last hour, four hours, eight hours, 24 and 48 hours, giving the Solent cruiser a clear overview of what’s happened, and therefore what’s likely to happen. Calshot Spit is festooned with instruments made by the Lymington-based company, Gill Instruments. Rock Seven’s RockFLEET system uses the Iridium satellite network’s Short Burst Data service to fire back weather data from the Calshot Spit light float, which is managed by ABP. Hydrosphere, an aids to navigation supplier, has undertaken installation and will maintain the facility. ‘This freely available weather data will complement the data already available in the wider Solent Area. The format is easily accessible via desktop computer and on smartphones and tablets. Detailed weather information and trends will be very beneficial to commercial and leisure users,’ said ABP Port of Southampton.